Rubber Room Ramblings: POLAR PARTY! 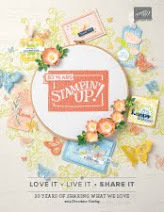 The Polar Party stamp set was one of my "must have stamp sets" from the new 2011-2012 Stampin' Up! 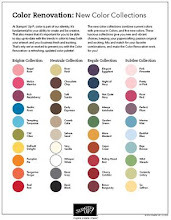 Idea Book and Catalog. I just love these little penguins. They are so happy looking and fun. I made this for a Christmas card at my Holiday Stamp-A-Stack, but it would also make a great birthday card for a winter birthday. 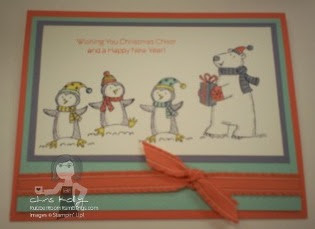 For this card I used the new In Colors and some of the new 3/8" ruffled ribbon in Calypso Coral. CLICK HERE AND ORDER YOUR OWN LITTLE PENGUINS STAMP SET NOW!